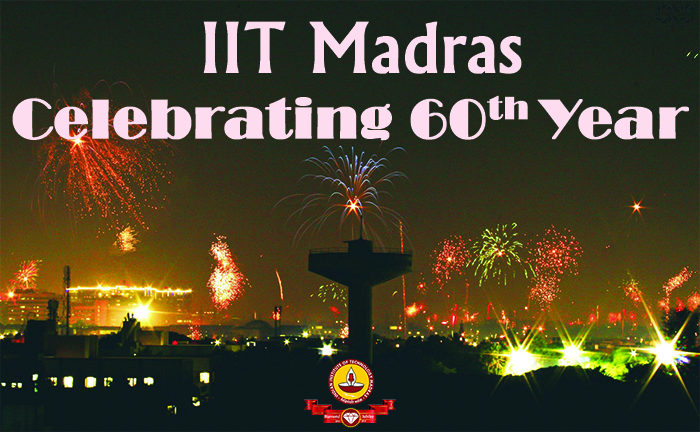 As we approach the mid-point of 2016, it is increasingly apparent that this will be a watershed year for IIT Madras, and many of her alumni. There has been a torrent of news about the achievements of IITM faculty, students & alums—and I'm sure you would have taken note. We should take time to reflect on how far we have come since our inception in 1959, and even since the "60 Minutes" program in 2003 (https://www.youtube.com/watch?v=l7iLj8FAzwA). 1. Nearly 2/3rd of our students are now post-graduates, and our annual M.S. + Ph.D. admission nearly equals our B.Tech. admissions. 2. 40% of UG student credits are now electives, half of them completely "free". 3. Dual-degree programs where the bachelor's degree is in a core discipline and the Masters' in an interdisciplinary, emerging area are being mooted. 4. Hardly 10% of UGs are heading to graduate schools abroad. 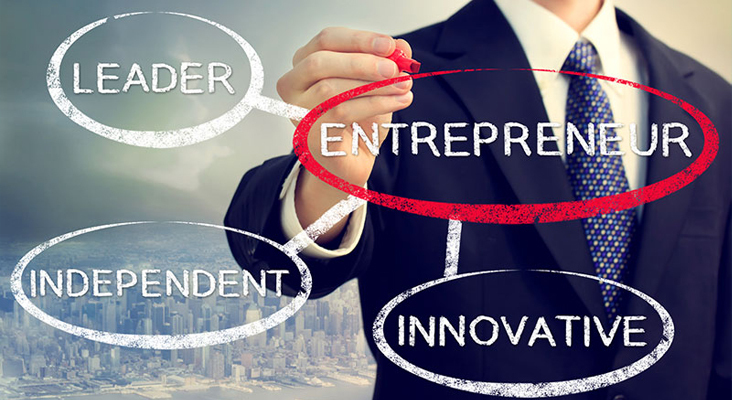 Nearly 20% are joining start-up or starting companies. 5. 20% of our Ph.D. admissions are now directly from bachelors' programs; another 10% are upgrades from Masters' programs. 6. The IITM Research Park remains India's only University-based Research Park, with Phase I filled to capacity, and Phase II launching in 2016, with St Gobain Research India as anchor client. 7. Interdisciplinary Centres are forming at the rate of 2-3 a year, necessitating the start of a "Research Campus" to accommodate the larger ones. 8. IITM leads the nation in joint doctoral degree programs (14 & counting), and in the inflow and outflow of exchange students and Visiting Faculty. It is also time to step back & review the state of alumni relations & fund-raising at IIT Madras. Nearly all alums are networked to each other, and to their alma mater. A key focus of the Office of I & AR continues to be to maximize two-way connectivity between the Institute and her alumni. While e-mail communications have been maintained, social media are increasingly being leveraged. The Office has built a strong presence in LinkedIn. In addition to this "Annual Giving Report", a monthly Newsletter from the Alumni Association and attractive websites provide additional interfaces to the alumni community. Two major alumni conclaves happen on campus every year—"Reunion Day" in December, and "Alumni Day/ AlumNite" in July. Chapter meetings in India and abroad are regularly attended by the Director, Deans and faculty. In 2015, these Meets have been held in Delhi, Mumbai, Hyderabad and Bangalore. Along with Dean, I & AR, I made a visit to the U.S. in late May, with stops in Chicago, Houston, Pittsburgh and the Bay Area. The weekly "Leadership Lecture Series" featuring alumni continues to draw crowds on Friday evenings. Alumni footfall on campus continues to be significant; with involvement ranging from innovation & entrepreneurship initiatives to industry connects. The Student Secretariat for I & AR continues to excel in outreach activities, including a "Day @ IITM" organized for the benefit of JEE aspirants. Fund-raising has risen from an average of Rs. 3 crores per year 5 years ago to Rs. 55 crores in 2015, more than doubling the 2014 total of Rs. 23 crores. The number of first-time donors reached an all-time high of 1,130 in 2015, bringing the cumulative total to 3,200 donors. Mr. Prem Watsa donated Rs. 6.5 crores towards renovation of the Stadium, and the same has been named after his father "Manohar C Watsa". The Mehta Family Foundation sponsored the 2nd Bio-sciences Building with an additional contribution of Rs. 2.31 crores. Shri. TT Jagannathan and Dr. Krishna Chivukula funded two signature projects at IITM—the Centre for R2D2 (Rehabilitation Research & Device Development) and the Space Lab (Satellite facility), respectively. CSR contributions received from Indian industries exceeded Rs. 11 crores, with several companies contributing from their CSR funds to support DST-approved incubators on campus, as well as faculty R & D projects with social impact. Shri. R Muralidharan has pioneered a novel way to give back to his alma mater. He has assigned his and his wife's life insurance policy valued at $100,000 to IIT Madras, vesting post the lifetime of the donor. Shri. 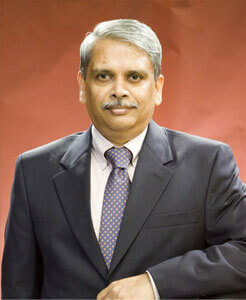 Kris Gopalakrishnan sponsored two more Distinguished Chairs in Computational Brain Research at Rs. 10 cr each. The Chairs are currently occupied by outstanding researchers: Prof. Mriganka Sur (MIT) and Prof. Anand Raghunathan (Purdue). Seven "Institute Chairs" were funded at Rs. 50 lakhs each. HAL and MoSDE (Ministry of Skill Development and Entrepreneurship) funded two Chairs at IITM. The first annual Workshop on "Computational Brain Research" was conducted on campus from Jan 4th to 8th, 2016. The goals of the workshop were twofold: pedagogy ("neuroscience for engineers"), and outreach/community building. Participants included world-renowned experts in the area. "Onwards & Upwards" is our institutional mantra, and we seek your continued support in this endeavor. That special campus of our past completes 57 years on July 31 this year. Fifty years, 45000 graduates, and counting! A lot has happened and continues to happen on the campus over the years. Several of us alumni are involved in these happenings. 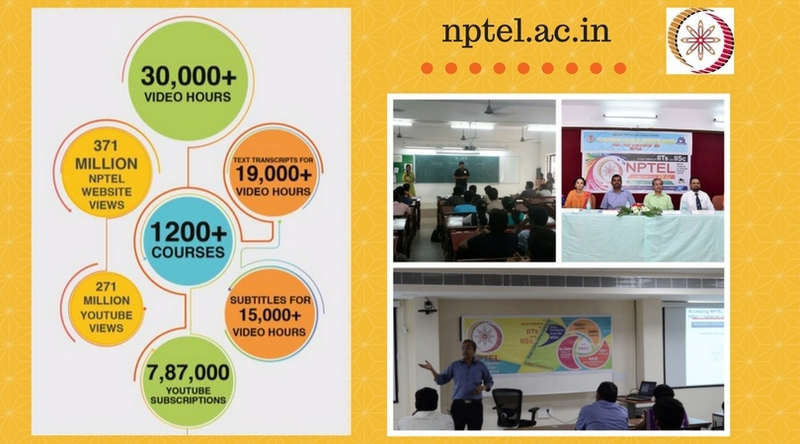 A few have given back by returning to teach at IITM, some have got involved in supporting a range of IITM academic activities, and yet others have contributed to the growth of the institute's facilities and capabilities. As an institution we have grown in the last 60 yrs from being a fledgling primarily under graduate teaching institution being nurtured by German Faculty Members, today an institution that houses 9000+ Students 600+ Faculty and actively involved in world class research.This growth has happened due to the contributions of many stakeholders, Faculty, Students, But the most significant and striking contribution in the past decade has been through the involvement of alumni. Whether it is development of infrastructure, whether it is infusion of ideas into our eco-system or whether it is development of student talent and absorption of student talent through our placement systems. Alumni have made a significant impact and continue to make a significant impact in the growth story of IIT Madras. There are two primary methods by which alumni have come to interface with us. They have contributed their time and several alumni have contributed their resources. 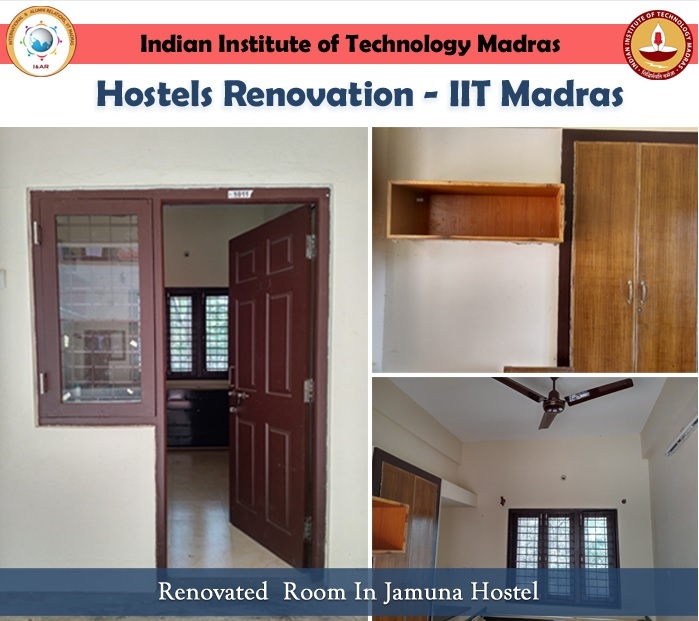 Your time contribution is very precious to us, if you feel if that is the best way to become to involve with IIT Madras Please ping us , email us, we will be happy to talk to you and have you help us grow along our path. If you feel you can help us in specific verticals of our activities we have ways by which you can interface with our office, Whether it is Development office or Alumni Charitable Trust, our foundations across the world, We now have foundations in US, Canada, Germany and growing. whether it is thorugh our alumni association which is also an intergral stakeholder in our growth story. We welcome you to be part of these alumni associations and alumni come and help us in this path. 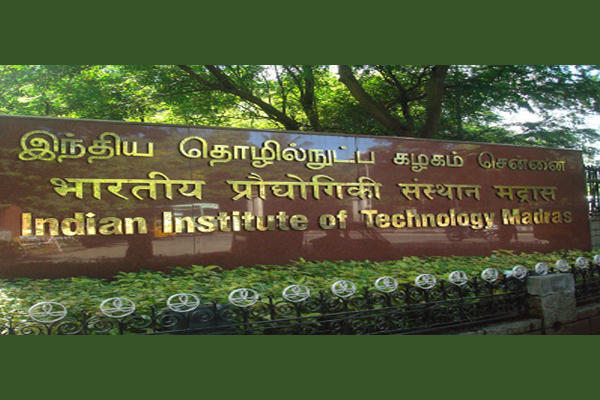 I am an Alumnus of IIT Madras, 1992 B.Tech Graduate in Mechanical Engineering. From the time that I spent here on campus to know, the campus has changed significantly it is greener, more deer of campus there is also a bus that was not palpable when we were all students, come experience that bus there is only one way that you can feel it, please come visit us, We will be happy to host you, make your stay comfortable, would be happy to arrange visits to specific areas of the campus that you decided to visit and meet people, and we would be happy to have you been involved along the way. When I think of Alumni and IIT Madras, I want to say let us together grow. Let us together grow IIT Madras. Welcome to our new web site.This site is not fully supported in Internet Explorer 8 (and earlier) versions. To get the best possible experience using our website we recommend that you upgrade to a newer version of your browser or use another browser.